On May 22nd, AMC will air the first episode for series that many thought would never come to be: PREACHER. 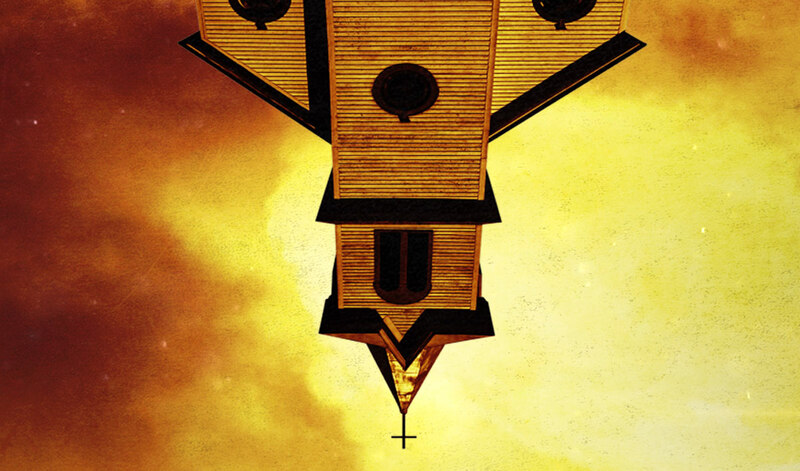 Based on the fantastic graphic novels from Garth Ennis and Steve Dillon, Preacher is the story of Jesse Custer (Dominic Cooper, Agent Carter), a conflicted preacher in a small Texas town who is inhabited by a mysterious entity that allows him to develop a highly unconventional power. Jesse, his ex-girlfriend, Tulip (Ruth Negga, Agents of S.H.I.E.L.D. ), and Cassidy (Joseph Gilgun, This Is England), a hard drinking Irish vampire, embark on a journey to, literally, find God. If you are not familiar with the comics, then I weep at the blighted existence you had led up to this point. Fortunately, the series is still over a month away, so you have plenty of time to head to your local comic shop to snag some. Go forth and experience the utter awesomeness of PREACHER.